"In Hopes Perdurable Reader Will Not Absquatulate"? OAE On The Road Again — "In Hopes Perdurable Reader Will Not Absquatulate"? the Bill Pennington Memorial Pizza Cutter is no longer virgin. Last night an item of the food bank largess was a 12" pizza of the Land Fill variety. The pie was not quite beyond the "Best By" date as there were as yet no mushrooms growing thereon so I was perforce obliged to add a few. Fortunately another item from the bank was a cello pack of sliced portabellas however they proved to be somewhat around the bend so I made do with fresh horse mushrooms. When the pie came out from the oven the newly gifted BPMPC performed well with no undo application of force, dividing the pizza into eig8ths with ease, adding a new use pattern to the surface of my venerable Marchetti-McMurdo Cutting Board. Thank you Bill once again for your kindness and generosity. Sorry you were not around to participate in this repast. "A comic about nudists? Well, yeah! Nudists have adventures too!" "...So if it was not age per se, then what was it? I was not sure, but I knew an adult when I saw one. You could identify them by their behaivour. 1. Took naps for no reason. 3. Were very worried about losing your memory. 5. Wore reading glasses around your neck but often forgot that you were wearing reading glasses around your neck. 9. Were suspicious of children and their motives. Then there are the admonitions we see on labels: "Caution: Keep out of reach of children." and signs: "Caution, Small Children Playing." and it occurs to me that I am afraid of small children. I wonder: Is any way to turn around and go back? Is that what "Second Childhood" is all about, overcoming that fear? From whence comes this mutual distrust? A spur of the moment event which only at the last minute became a D'ARC activity. Once a year the Palo Verde sirens are given a formal system-wide test--includes briefing, testing, debriefing, and lunch. Local ham radio operators help by confirming proper operation and calling in malfunctioning sirens. KD7TKQ and K1OIQ managed to reverse the order of the first three parts. My list of thankful things is long and our correspondence is close to the top. All what we consumed for dinner came from the local food bank with the exception of the pie crust and that was a leftover from the Pie Town Pie Festival. After I replaced the 100 watt light bulb with a 200 watter I was able to cook the nine pound turkey in my little oven. The meal here was shared with three of the other denizens of this village, everyone helped with the preps, and after the dishes were cleared and clean a fourth came along for the scraps. Sara(h) La Gata helped with scraping the pots & pans so there would be not so much to wash.
Busy here with catching up on last Spring's cleaning. This life-style of foot-loose-on-the-road-home-is-where-I-park-it has its costs and a major one is Where To Put All My Stuff. I've got trunks and boxes tucked away in the basements and garages of friends and relatives scattered across several states. The rule is, from any given location, I should be able to pack up and hit the road, move out as it were, in one trip. Not the case right now from this place and so this mandate has put me into a frenzy of divestiture and packing. For the past fortnight I have been getting rid of things. Some things are hard to give away. Not only that I've not worn a particular sweater for years--one that my mother knit for me back in the sixties--but to whom can I give such a treasure? Long storey. There are tools that get used only once in a great while; I could buy a new one for less than the cost of storing them. And of course when stored they are always far away when needed. Seasonal appliances are another thing that take storage space. Sold a swamp cooler that gets used only for a month or two a year, which I never really liked anyhow, but I'll keep the window mount a/c and find some place to carry it. Perhaps in the window. And how many tee shirts does a nudist need? Right now I have more use for cleaning rags. > want out of being homeless and some prefer it. I see that also at the food bank where I volunteer four hours a week. According to some bean counters everyone who lives "on the road" is homeless. Whether RV or shopping cart or backpack, if one doesn't have "real property" then one is counted as homeless. The big deal seems to be that government has little control over the "homeless" and so a lot of communities rail against the concept. But, at the upscale end at least, the folks who live on the road spend a lot of money in those same communities. Such a dilemma. And cell phones have (just as with telephones of long ago) become as essential as shoes and shirts. No Shirt, No Shoes, No Service. One must have connectivity so you can call for reservations and to know when it is your turn for service. I try to slow down but then I am always late for something going faster. Why are we all in such a hurry? That's a rhetorical question don't bother answering. I'll have more to say in a subsequent letter. 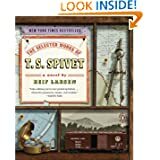 "Now That Our Travels have reached beyond the halfway mark, perdurable reader, it occurs to me I've not yet said anything about the subtitle of this book and its key word, mosey. Maybe you first heard the term from the mouth of a bewhiskered, hornswogglin bullwhacker in some B Western: "I reckon I'll just mosey on." "[TO BE READ ADAGIO MOLTO] On the dead run until you reach the finish line where six pallbearers will carry you at a funereal pace to your six-feet-under to spend eternity at Dead Slow. "These wanderings into quoz are a mosey… Some of us find that a pleasant circumstance." "[George Stewart] wrote about dominating, dominated, and equal highways, the category determined by how well a route is integrated with the countryside it passes through. A multilane tends to dominate because you're more conscious of it than the lands around. In a city, the highway gets dominated by the surroundings. But on an equal road, you're aware of the road and also what's beyond it." Along with a Total Eclipse of The Moon! This once in a four hundred year coincidence was veiled by Altostratus of a Mackerel Sky, horizon to horizon here on the dark side of the tailings pile to the south of Ajo AridZona. After the last fortnight of feverish finagling I've managed to trick my Self into believing I can get along without much of this valuable junk packed in boxes and piled in corners. Mostly untouched is all the clothing hanging in the two amidships lockers. A red "jac-shirt"--part of Boy Scout Uniform--from 1964, my Black Watch Kilt from about 1959 (still fits me but such ceremonial occasions when I might wear a kilt are few and far between hereabouts...), GoreTex parka from Mount Washington, campfire robe, backpack, two pair of Limmers (these do get worn from time to time hiking in the desert). All those things I kept. At least until the next spasm of get-rid-of-it. A fine wool sweater my venerable mother knit for me I sent to The Last Boy Scout I know and a backpack bigger than she is I sent to Denali; perhaps she'll grow into it. Lots of other stuff went into the Free Pile or the Fleece Market, some other things went to the tip. Everything remaining is packed more tightly. Still there remains a kayak. Not to mention several more trunks of journals, books, photos, and trinkets stored in lockers and cellars from AridZona to New Hampster. Less later. And then On The Road Again! First to Tucson for Virginia's macaroons and Cliff's list of projects. Two days of yummy fun and fixing widgets, both for Cliff and things I found along the road that needed doing in The Cat Drag'd Inn. Then I pointed The Cat west towards Why and Ajo where Betty and The Solstice awaited. This route across the rez is certainly the road less travelled. The last time through here was on a tour in febter 1999 but I can recognise some of the beer bottles along the verge. In the Most Significant Scenery category this road ranks highest in number of Memorial Markers per Mile. Speaking of evolution and roadside scenery... See the LEAVING YOUR MARK IS OVERRATED sticker at the bottom of the page at the Leave No Trace Center's shop. "Well", said the Wart, "what about it?" "The best thing for being sad", replied Merlyn, beginning to puff and blow, "is to learn something. That is the only thing that never fails. You may grow old and trembling in your anatomies, you may lie awake at night listening to the disorder of your veins, you may miss your only love, you may see the world about you devastated by evil lunatics, or know your honour trampled in the sewers of baser minds. There is only one thing for it then--to learn. Learn why the world wags and what wags it. That is the only thing that the mind can never exhaust, never alienate, never be tortured by, never fear or distrust, and never dream of regretting. Learning is the thing for you. Look at what a lot of things there are to learn--pure science, the only purity there is. You can learn astronomy in a lifetime, natural history in three, literature in six. And then, after you have exhausted a milliard lifetimes in biology and medicine and theocriticism and geography and history and economics--why, you can start to make a cartwheel out of the appropriate wood, or spend fifty years learning to begin to learn to beat your adversary at fencing. After that you can start again on mathematics, until it is time to learn to plough." Plenty-Too Cold Below Zero in some places hereabouts; cold enough below freezing here on the dark side of the tailings south of Ajo AridZona. At first, tho, there were a few warm days and I got out for a walk. Then made a Pickle Pie in a Pi dish for Winter Solstice Sabatical Trash Can Turkey Dinner. Made an apple pie too as backup but the Pickle Pie turned out just great! This forced "proof of concept" has been an eye opening experience. Not to mention a wallet opening activity as well. Spending cash money kind of buries the fact, unlike documenting expenses as with a credit card. Annual weighing of the bus indicates a serious gain of poundage since last time three annuals ago. The front axle of the bus is up from 10,060 to 10,460--must be all the canned foodstuffs I am hauling around--and the rear axle went from 17,980 to 18,260 for a total gain of 680 pounds. Admittedly, much of that could well be a full fuel tank. I have no tank status notes on the previous weighing, only the receipt. This time I am making lots of notes. So that makes quite a difference between full and empty. Further research is in order. Then there is the little truck. From 3300 last time up to 3820 this time. That has to be mostly cargo. Gasoline is 6#/gal and the truck's tank is about full at 10 gal = 60 pounds. The rest must be cargo and dirt. So I have besides more research some serious cleaning and divestitures to do. First I gotta make breky. The Annual Mile99 Ham Radio week-long fest and tailgate-flea market was filled with seminars such that I could not get around to all of them. Beginner Geocaching, as in past years, was the seminar I ran, with the additional twist that there are several new official geocaches in the vicinity so I didn't have quite so much setup work to do. Fun times cooking on campfires, toasting marshmallows, visiting around. At the end of the week the NU7DE Desert Circle Amateur Radio Club held its annual meeting at The Magic Circle and Chef ajo made another Pickle Pie in a Pi Dish. Returning to Tonopah to record low temperatures was somewhat a shock to my system. 22f the morning after Ground Hog Day was the lowest I have seen in all my Winters here. Now I have a few weeks to clean up after Mile99 and repack for the next great adventure. Time is running out to get in on this trip right from the start; see the Tour Index/Itinerary page for the first draught of my itinerary. Trippers could join me for all or any part of the tour. Write for details. Bring money. > Interesting, what type of wx station are you using? On the left I have a Taylor Instrument dial thermometer calibrated in degrees Fahrenheit with a capillary about fifteen feet long (remember analogue dials and capillary tubes?). The bulb is under the bus behind the front bumper so I get a good shaded reading there but the response time is surely affected by the nearby mass of steel. There is a secondary thermometer salvaged from a wrecked car with the sensor mounted below the drivers window to measure vehicle skin temperature. Also, out in the tree a few yards away, in a semi-official proper instrument shelter is a clever device: "Thermo-Hygro" by Oregon Scientific that transmits readings once in a while. I found that at a Thrift Store but the receiver was missing so I have to go out to the tree to read the display. Second from left is a Maximum Instruments "Maestro" for wind speed and direction. Of course when I am driving the dial indicates "air speed" and shows cross wind vectors. In the middle is fine brass gauge to measure domestic water pressure. The instrument on the right is a Taylor "Stormoguide" (Copyright 1922) aneroid barometer calibrated in inHg. More fun to watch going up and down hills than the aneroid altimeter. And then I have nailed to the stockade fence, just a little north from the temperature tree, a "Tru Chek Rain Guage" [sic] which mostly hereabouts collects various species of flying and crawling insects. After two days of dawn temperatures in the low twenties, with frozen water hoses, yesterday and this morning are in the mid fourties at dawn. Yesterday was finally warm enough to work outside. As much as I want to once again stay a Winter in New England and play in the snow this sort of weather reminds me I really don't like the cold as I used to and fear the only thing I will find in those old haunts is that all the reasons I left in the first place are still there. Perhaps one of the most interesting words in the English Language today is the "F" word... And speaking of that let me know if you have seen the Winnebago Man Documentary. Finished reading At Swim, Two Boys by Jamie O'neill. Recommend you read this fine storey too. Set in Dublin during the early part of 1916 this novel is written with a lot of Irish dialect; I've created a vocabulary list of unusual and hard to define words. There are several websites to assist with the partying or the learning. And if you need another holiday at the other end of the calendar there is 10/6, the Mad Hatter's Tea Party Day. Which by the way should occur during October tho some calendars would have one believe happens in June. This week I am putting back together the motor for Bill's Ditch Witch. We decapitated the engine nearly a month ago in a misdirected quest to find an oil leak which was filling the crankcase with fuel. Now the faulty injector pump has been rebuilt and the head set back in place and we are almost up to filling with oil and glycol and cranking. Then, cleaning up at the end of yesterday--when I start dropping wrenches the day is over--I found three small tiny little widgets in the oily mess under where the head had been resting. What are these?, says I to my Self. I don't know but where is the fourth? Everything about this motor is in fours so there must be another one of whatever they are someplace. Bill finally found it with a magnet. Now of course I am obliged to tear down the whole thing again and figure out where these things belong. At least this time will be easier--I know the right order of operations and all the bolts will be easier to remove. Thank you for that support! Our governments and their police have essentially declared themselves to be above the law. Time for the Second American Revolution! Unfortunately "we the people" have all become far too complacent and the attitude of "What, me worry?" will prevail. Had this been an actual emergency there would be people screaming in the corners and most of the communications upon which this drill depends would not be functioning. This is a drill, not a test. At the briefing: Keep in mind that the plan for this drill was written nearly a year ago. The scenario is: There has been a major earthquake centered near the Palo Verde nuke plant. Cooling has been disrupted and containment breached. For a two mile radius around the plant and a five mile radius in sectors blah and blah--the downwind plume area--all persons--some ten thousand--are to be evacuated. The reception center for the evacuees in this drill event is the Desert Edge High School and all evacuees make their way there or are carried there by other means. Persons coming in will be screened, decontaminated if necessary, allowed to go to friends or relatives if outside the evacuation area or bused to a shelter. The drill in this instance was to practice the functionality of the reception center. To see if people could move through, if busing was adequate, if facilities to decon and house pets was adequate. It is postulated that to process all the people living in the defined evacuation area would take about fifteen hours so this was hardly a real stress test of the capability, just to see about the functionality was all. Once again, the plan for this drill was written last April a year ago; a few weeks ago several observers and disaster admin persons from Japan were here to participate in the earthquake part of the drill-event which all went largely unnoticed by the local population and press. In a lighter moment today one wag observed that at Palo Verde at least they wouldn't have to worry about a tsunami. Here we are again, the end of another Winter, the beginning of another Spring. I noticed these letters, the Travels of Oso con Migo, are getting fewer and farther between. . . . o 0 O (or is that supposed to be further between?) Perhaps we are doing less? Or there is less worth writing of? The Ditch Witch motor started right up once we got fuel to the injectors. The four little widgets turned out to be rotator caps that belonged on top of the exhaust valve stems so I needn't remove the head, only to lift up the rocker arm assembly enough to set the caps in place. Still a mystery how they came to be under the head where it sat on the fender, and something of a miracle that they were still there after several weeks of the head being off to the valve lapper. With that project out of the way The Cat Drag'd Inn is a little closer to going somewhere else before the long hot Summer commences.